Executive Director Al Pelham and board member Peter Keating were featured panelists Thursday, May 24, 2018 on NJTV’S In Your Neighborhood: Montclair Community Forum: Infrastructure and Quality of Life. The panel consisted of Mayor Robert Jackson, Montclair Township; Dr. Renee Baskerville, 4th Ward Councilwoman, Montclair Township; Peter Keating, Chair, United Way of Northern New Jersey Community Board, Montclair; Ann Lippel, Chair, Senior Citizens Advisory Committee, Montclair Township; Albert Pelham, Executive Director, Montclair Neighborhood Development Corporation; and William Scott, Chair of the Montclair NAACP Housing Committee. 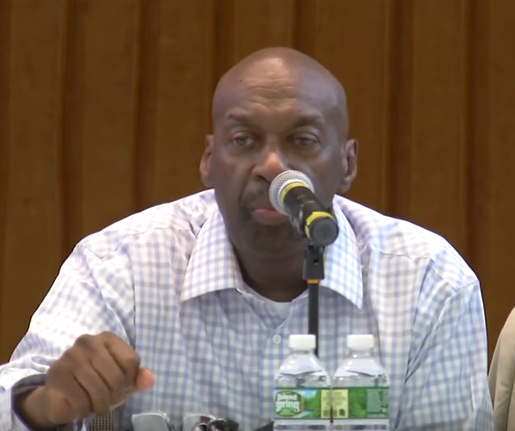 Mr. Pelham addressed the topic Minorities in Montclair: Preventing generations from leaving the town and the decrease of African American families of low to medium income in Montclair Township; the lack of job opportunities or new businesses to replace companies no longer servicing the area (ex. Pathmark vs ShopRite in Newark); and housing concerns and impact on their quality of life. Mr. Keating, who also serves on the United Way of Northern New Jersey Community Board, addressed the topic of the ALICE population (Asset Limited, Income Constrained, Employed) regarding the number of households that are struggling and experiencing limited economic security in New Jersey, Essex County, and Montclair, the challenges facing these individuals in comparison with those in a lower income level, and the the forces preventing their financial stability.